There is a myth that Tai Chi & the Internal Arts take a lifetime to master. Teachers who don’t teach spread this myth so that in 5, 10 or 20 years you won’t question the fact that you are still at a beginner level in these arts. There is a grain of truth hidden in the myth. These arts ARE deep enough that you can continue to gain skill and knowledge throughout your entire life. Mastery = Comprehensive knowledge and skill in a subject. 20 years is plenty of time to become highly skilled. Learning to fight effectively doesn’t take nearly as long. When you look at masters that started young they were often considered masters in their late 20’s / early 30’s. Yang Chen fu for example began teaching publicly at 31 (so probably about 20 – 25 years of experience.) He was one of the first Tai Chi folks to teach publicly so there’s no way he started doing that without already being a master of the art at the top of his game. There are also stories of masters who started in later in life. I’ll go look one of them up to share with you later. So, what’s the best place to get started? That would be our Internal Combat Arts Course. This is a 16 week online training program that guides you through the fighting fundamentals of Xing Yi, Bagua, Tai Chi & Kuntao Silat. 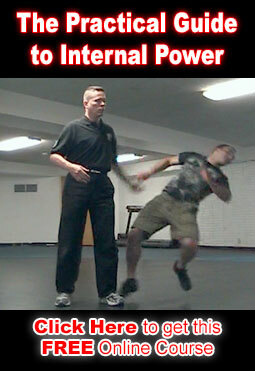 In addition to all the combat stuff this program will also help you build a strong Qigong practice. Both for health and for more advanced fighting stuff later on.